Have you been long searching for a rack for your t-shirt bags? We offer highly convenient, strong and durable rack for snap-eze. Ideal to be kept at counters, our snap-eze rack will make the process of checking customers out easy and convenient. There is going to be no more waiting in lines for customers on the retail counters with our convenient t-shirt bags rack. The checkout process will be smooth, fast, and effective, keeping your customers happy and providing them a superior shopping experience. 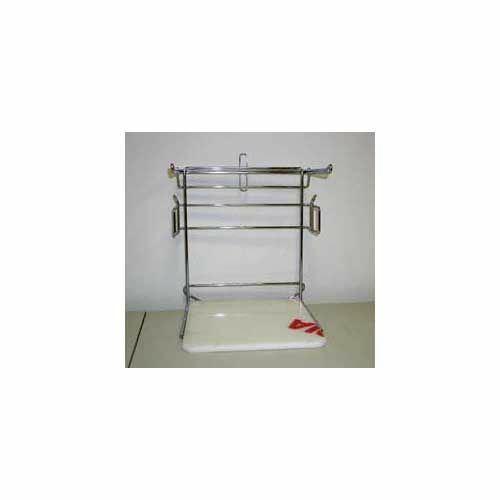 The rack for t-shirt bags is ideal for all kinds of high density t-shirt bags. Made with a metal frame, the rack not only provides convenience and ease of use, but is also highly durable. The metal frame is corrosion resistant and chrome plated reducing the chances of it breaking down any time soon. It comes with a weighted base to keep the rack stable.